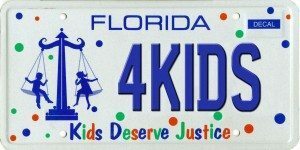 The Kids Deserve Justice specialty license plate funds free legal services to low-income children in Florida, helping them reach their full potential. Examples of these services include legal representation for abused and neglected children, legal help for children transitioning out of foster care, or legal assistance for children needing special education testing or access to health care. The legal services are provided by not-for-profit organizations, including local legal aid societies and volunteer attorneys. The funds can also be used to work with the courts and other groups to improve how the broader justice system serves the needs of Florida’s most vulnerable residents. Every dollar of the Kids Deserve Justice specialty license plate fee of $25 will fund children’s legal services. No administrative costs will be deducted by The Florida Bar Foundation. Why Support Kids Deserve Justice? Because of kids like Julie and others who need our help. Imagine being beaten and neglected by your parents and spending years in the foster care system. As heart-breaking as that scenario sounds, can you further imagine being confined to a wheelchair and having to wear a helmet and other protective gear because of your physical disability? That happened to “Julie,” who was diagnosed with a pervasive developmental disorder. Taking care of a child is never easy, but Julie’s care required special attention. Julie needed help to eat, bathe, brush her hair, and go to the bathroom. Julie’s foster parents were able to see past her physical limitations, and fell in love with her spirit. Julie’s foster parents were anxious to adopt her and become her “real” parents. However, they needed financial support to tend to Julie’s many needs. 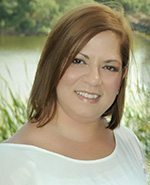 Legal aid attorneys helped Julie’s parents obtain the full adoption subsidy and helped Julie get the full benefit from Social Security to which she was legally entitled. Thanks to Legal Aid and The Florida Bar Foundation, Julie is safe, protected, and loved by her adoptive mom and dad. How to order your Kids Deserve Justice specialty license plate.